Participating businesses invite you to “Friends Night Out” a special passport and fundraiser addition to this November’s Third Thursday. Each purchase enters you into a drawing to win raffle prizes. 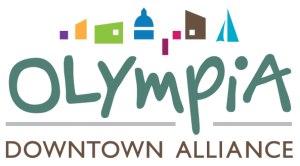 Enjoy shopping in historic downtown Olympia and support a local cause. Event proceeds benefit a local charity. Limit 250. Purchase Here to reserve your passport. $15/per person.